FOPE is an innovation-oriented Italian goldsmith which has become an international fine jewellery brand. Every day, every piece of jewellery is made in-house at the FOPE headquarters in Vicenza, Italy, where the owning family established the first laboratory in 1929. The FOPE signature collections are the Flex'it lines which feature a patented flexible mesh chain entirely made of 18 carat gold. Other trademarks are the iconic Novecento mesh, the high end MiaLuce and the new LadyFope watches. The FOPE signature design is presented with a thicker gauge available in yellow, white and rose gold. The bracelets are flexible (and entirely made of 18 carat gold). 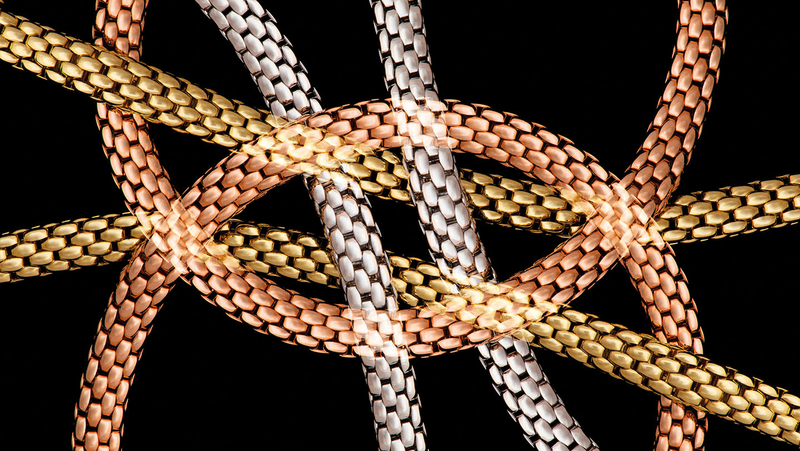 Eka is FOPE's first Flex'it collection, the flexible mesh chain is entirely made of 18kt gold. Eka jewellery is available both in gold or with diamond rondels. Eka Anniversario has been created to mark the 90th anniversary of the company foundation. As the name suggests, the collection is a close relative of the first Flex’it, Eka, this time round in a different guise. The apparent simplicity hides a complex engineering process: the result is a gold mesh which is both familiar and original in style. 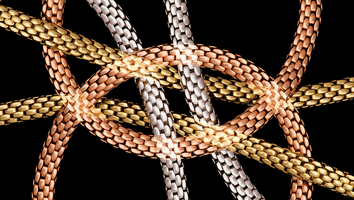 Prima is a Flex'it collection and it is designed around a thin yet very resilient gold chain. There are two variants to this date and they have proven an immediate success.